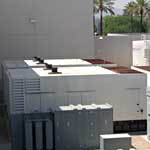 SoxDomains servers are housed in a state-of-the-art data center in Phoenix, Arizona. This data center has proven to provide significantly higher protection against incidents and faster problem resoulution against hardware failure. As one of the safest-from-natural-disaster cities in the United States, the likelihood of environmental calamities like hurricanes, tornadoes, catastrophic hail, major flooding and earthquakes in Phoenix is minimal to non-existent. 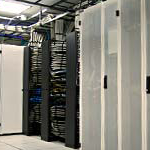 This makes our location ideal for primary and disaster recovery. As a carrier neutral data center their main focus is incorporating multiple Tier 1 fiber networks into the facility, enabling us to select the best provider for our specific needs. 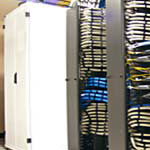 Our data center strives to operate as efficiently as possible while providing the utmost in consistency and maintainability. 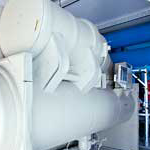 Through unique features that optimize power consumption, our facility is designed to operate with a 1.39 Power Utilization Effectiveness (PUE) without the use of outside air. 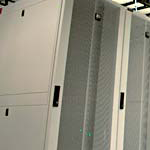 Overall, our data center employs several green strategies to drive efficiencies and performance. None of these result in any premiums to clients, and in fact result in cost savings we pass along to you. 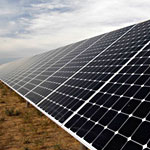 200+ watts per sq. ft.